William James said, “Act as if what you do makes a difference because it does”. 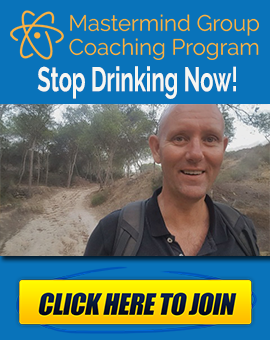 Today, I want to talk about every step you take away from quitting drinking makes a massive difference in your life. Small steps lead to big results. In the beginning, it can just seem like an overwhelming task that’s facing in front of you. 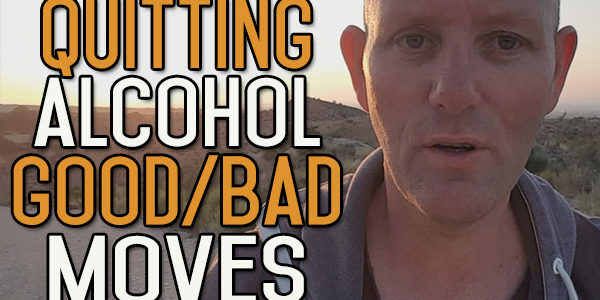 Not only do you have to get rid of the alcohol and deal with the physical side of it, not putting it in anymore, you’ve also got to deal with the habitual side of it. You have to take apart the behaviours, and dismantle all the rituals. 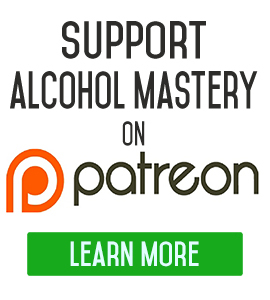 There’s a lot of thinking you have to deal with just to alter the way you think about alcohol and different parts of your life that used to or didn’t used to involve alcohol. Sometimes it can feel like you’re just getting a lot of hassle from different areas. The whole thing, the discomfort, the hassle is just not worth it. You know there’s a way that you can easily and instantly fix it, and that’s go back to alcohol. You know that no matter how bad things are getting, that if you take that drink, at least it will satisfy you in the moment. You can take a drink, get pissed and forget about things at least until tomorrow. Then you can start again tomorrow. It’s that instant gratification mode. People know it’s there for the taking if they want. At the end of the day, every step you out between you and the alcohol matters. 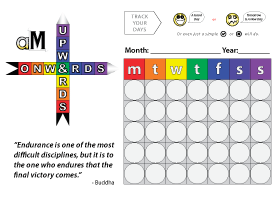 Every bit of discomfort that you put up with in those first few days matters. Everything you do to rebuild relationships, to make new relationships, to put yourself out there and into the brave new world without your crutch, every bit of effort that you put into building new skills, all that matters. This is a step-by-step process, not something that will happen overnight. It’s going to change you. What you figure you’re like now, you might not like it tomorrow. The things that you do now, that work now, might not work tomorrow. The things that don’t work now might work tomorrow. You just take it bit by bit. William James who was the father of modern American psychology said that you should act as if what you do makes a difference, because it does. Everything that you do, putting distance between you and the alcohol does make a difference. It makes a difference to you personally. It pushes outwards as well. Your new found life expands outwards and starts making a difference to other people. I’ve seen that in so many different ways since I stopped drinking, in the way that I’m encouraging other people to quit. 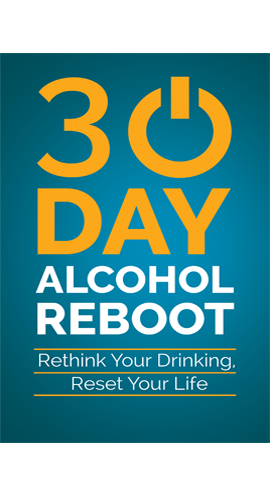 Not only to quit drinking alcohol, but to lead healthier lives. I’m encouraging people to take a look at themselves and look at things from different perspectives. From a personal perspective, it might not feel like it while you’re in the discomfort. You’re obviously not as comfortable as you were before you quit. But, that comfort is relative. I’ve said this before, that when you first start drinking, you have a physicality about you, which is healthy and full of life. As you gradually go into drinking, slowly but surely, the alcohol starts to take over different areas of your life. The normalcy of alcohol drinking becomes a normal part of your life. What used to be abnormal to you, the feelings you had…alcohol affects you gradually. You get the hangover and the immediate effects, but the insipid nature of alcohol is that it starts deteriorating your health over a period of time; your physical and mental health. You don’t notice that normalcy for you is gradually decreasing. Your health is gradually decreasing, your mental capacity and the things you used to do are decreasing. You’re focusing your life on this alcohol. So, comfort just before you quit is a relative term. It’s comfortable in relation to what you were doing then, but I’m telling you now, the comfort that you will get once you quit drinking and you’re off the alcohol for a while is nothing in comparison. Relatively speaking, before you quit drinking, that is discomfort. You’re going through the mental torture time and time again, drinking and toxifying your body and your mind. So, put up with the discomfort that you’re going to go through now in the moments just before you quit, and understand that it will get better; that you might not be the person you want to be just yet. But just persevere with this and keep persisting and taking it step by step, day by day, learn something new every day about yourself and where you want to go and the new skills you need to move forward. Once you do that, you will soon get to that person. TAKE SMALL STEPS EVERY DAY AND EVENTUALLY YOU’LL GET THERE.